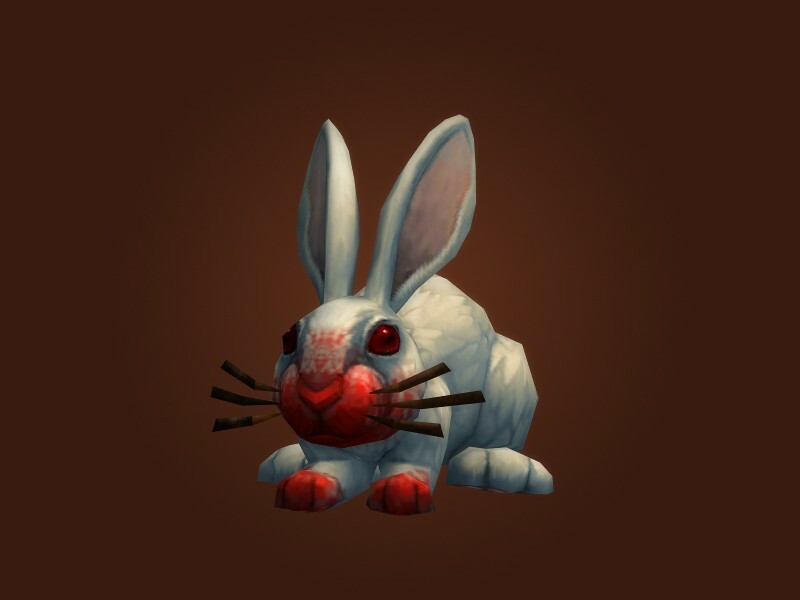 I’m not sure if you heard or not, but Navi has been gifted with a Darkmoon Rabbit Battle Pet. Go ahead, read her post. Actually, go ahead and Google “Darkmoon Rabbit” and see what you get. If you read enough of it, you’ll come away with an idea on how hard it is to get one, and the level of admiration/affection her friend has for her. A while back, Matty and I came up with an idea to gift Navi with a collage of Notes of Appreciation. 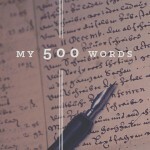 In the midst of trying to contact all of the 60+ Blogs on her Blogroll, I was asked a question. In her blog post, someone makes a statement on how “nice” a “friend” she has. While I don’t doubt the veracity of that statement, I think there may be more of a reason. 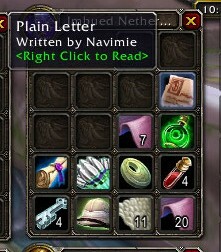 Why does Navimie “seem” to get so many meaningful gifts? Navi makes you feel like a Rock Star. 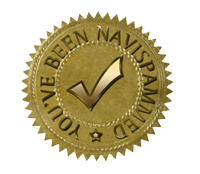 My first piece of evidence is the Navispams. There is only one reason that all of these people have been Navispammed. Namely, that they are “worth” it. Navimie has decided that these folks are worth getting to know. Worth researching, tracking down, stalking, blogged about, and shown for all the world to see at their very best. Navimie gets nice things because she has gone out of her way, made it a mission, to show others as “being” special, worthy and wanted. My second piece of evidence is her constant encouragement. Not only does she read every boring USAF Update I write, but she constantly pours encouragement into it. I’m not the only one she does this to. My third piece of evidence is how she shows appreciation. You see, thankfulness is systemic with her. 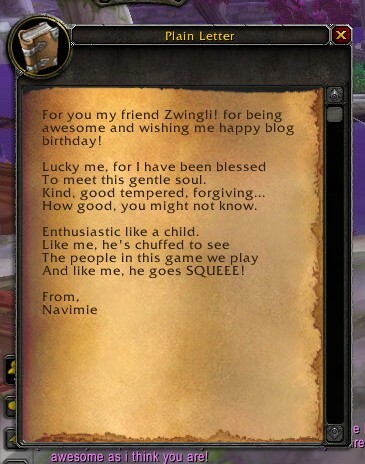 It is part and parcel with who she is as a WoW Player/Community Blogger. You can also read where she did something similar for Erinys of Harpy’s Nest Blog. It is an outpouring of appreciation for the gift(s) she’s already given us. Now, who should we lavish some love upon next? I’m taking nominations!